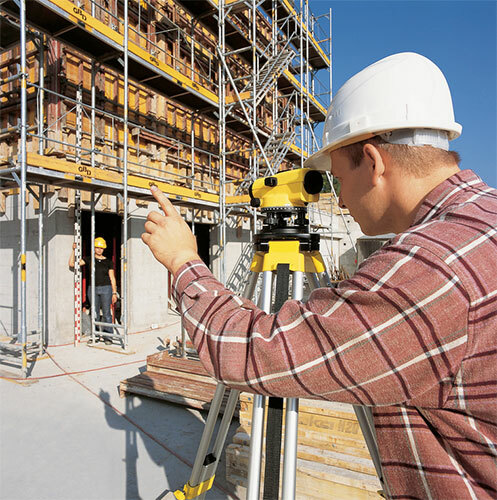 The Leica Runner 24 with its x24 magnification is a robust and mid-priced automatic builder's levels. Designed to work hard on the job site. They are quick to set up, simple to use and very reliable. The automatic compensator and the fast optics speed up measurements onsite and increase accuracy. Tripods and staffs are important parts of any levelling equipment. Without a stable base the image of any level will always be compromised. 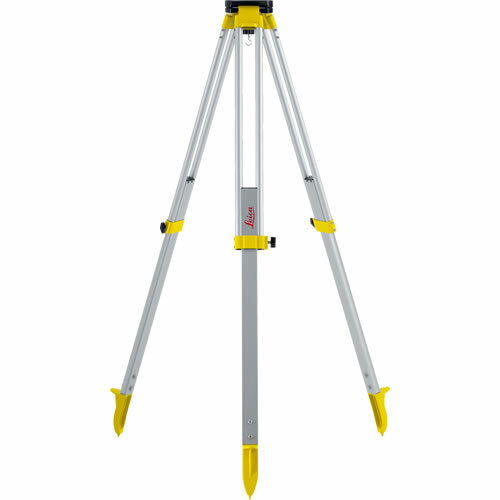 Our package includes the industry leading Leica GST103 telescopic aluminium tripod which combined with the 5m 5 Section Levelling Staff offers customers a profesional levelling package at an amazing price. When choosing When choosing a level the quality of the optics if often overlooked. All Leica levels feature best in class Swiss lenses & optics which give a far superior quality and sharpness of image over that of generic brands. The Leica Runner range include many features not seen on other levels such as super fine double sided endless targeting for fine adjustment of the level and magnetic air-dampened compensator for super stable images. 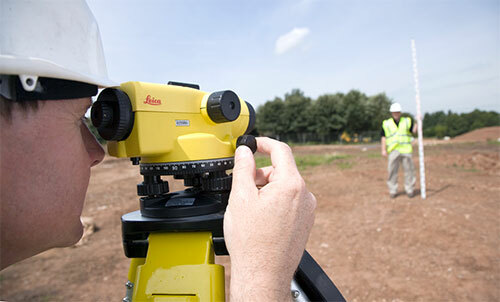 The Leica Runner Dumpy Level is the ideal solution for all your onsite levelling. 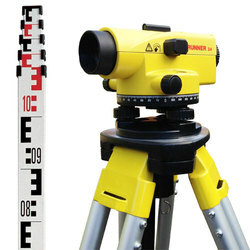 Simply set up the instrument on a tripod and you are ready to check and transfer levels around the site. This optical level is IP55 rated allowing it to be used in all weather conditions. Magnetic compensators allow faster and more accurate set up of site & dumpy levels. Although this feature can be found on other levels the Leica Runner Levels feature a reset button that makes sure that the compensator is levelling correctly and has not become stuck in place during transport. 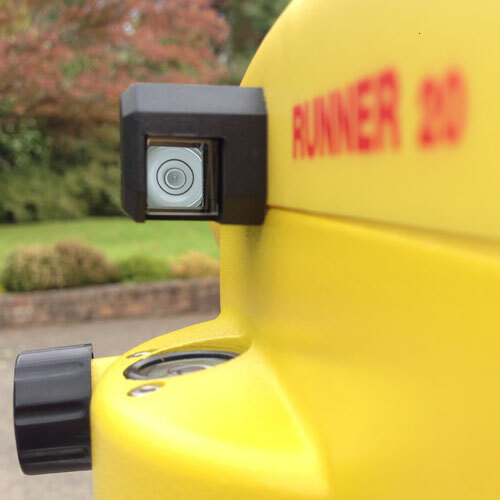 The Leica Runner Optical Level features a high grade Penta Prism which allows you to see the levelling bubble from behind enabling faster set ups each time you relocate the device. 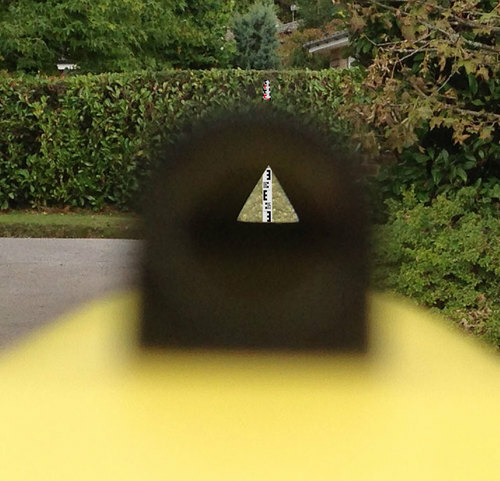 With its unique magnified sighting systems it now easier than ever to roughly target the staff before having to look through the level itself to fine adjust and focus. For all daily levelling tasks on any construction site. For all daily levelling tasks with higher demand for product performance. For advanced levelling with higher demand for accuracy and performance. Precision levelling e.g. 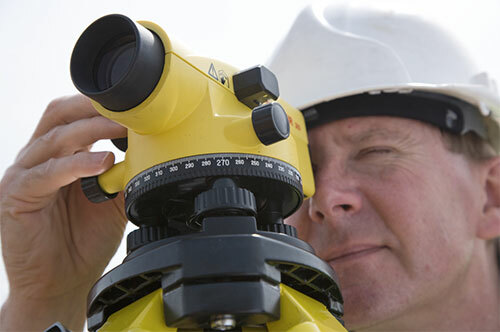 for settlement & deformation measurement & monitoring.